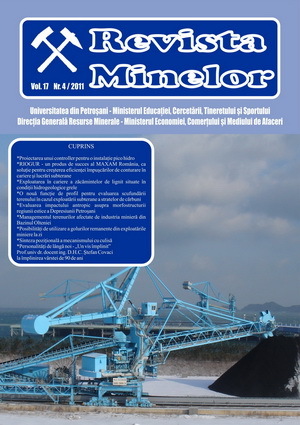 The Mining Revue is a Romanian academic publication focusing on the mining engineering field. Since 2011, the Mining Revue is published quarterly by the Universitas Publishing House in Petrosani, ISSN-L 1220-2053/ISSN 2247-8590. The Mining Revue was categorized by the National Council for Scientific Research in Higher Education (C.N.C.S.I.S.) in the B+ category. The papers published in the revue are theoretical and experimental studies from the mining field and they are developed by university academics or researchers, but also by engineers and experts from the field, promoting scientific research that contributes to the expansion of the knowledge horizon in the mining field. The Mining Revue is indexed in the EBSCO international databases. From the last two numbers of the 2009 collection, the revue has also been published in English. From 2011, Mining Revue is published quarterly by the University of Petrosani, at the Universitas Publishing house. The Mining Revue publishes original and advanced research papers, new developments and case studies in mining engineering and technologies aiming new and improved techniques also suitable for civil applications. The journal covers all aspects of mining, environmental issues and technologies relating to exploration, exploitation and processing of mineral resources, surveying, computers and simulation, performance improvement, cost control and improvement, all aspects of safety improvement, rock mechanics and interface between mining and law. Environmental issues specially identified for coverage include: Environmental impact assessment and permitting; mining and processing technologies; waste management and waste minimization practices; mine site closure, decommissioning and reclamation; acid mine drainage. Mining issues to be covered include: Design of surface and underground mines (economics, geotechnical, production scheduling, ventilation); mine optimization and planning; drilling and blasting technologies; material handling systems; mine equipment. Computer, micro-processor and artificial intelligence based technology used in mining are also covered. The papers have a wide ranging and interdisciplinary topic choice. The editors will consider papers on other topics related to mining and environmental issues. All published research articles in this journal have undergone rigorous peer review, based on initial editor screening and refereeing by independent expert referees. The Mining Revue is characterized by the approach of topics from the fields of occupational health and safety, risk assessment management in the mining industry and mineral engineering, from the field of artificial intelligence and knowledge based systems, taking into account the characteristics of the geographical area, both from the point of view of mineral resources as well as of human resources. Conf. Charles KOCSIS – University of Nevada, Reno, U.S.A. Starting with 2011 Mining Revue appears quarterly (in March, June, September and December). Papers must be sent by e-mail, to the following address: radu_ion_up@yahoo.com in Romanian and English languages. Paper must contain an abstract and 4 keywords. The files shall be named using the author's name followed by "-EN" for english version and followed by "-RO" for romanian version (for example: Ionescu-EN.doc, Ionescu-RO.doc). The responsability for the paper's content belongs exclusively to the authors. Unpublished papers will not be returned. The logical link between the article's title, abstract, keywords, content and conclusions must be observed. All published research articles in this journal have undergone rigorous peer review, based on initial editor screening and anonymous refereeing by independent expert reviewers. The papers will be edited using MS Word program (or equivalent). The paper shall have the following page layout: Format A4, margins: Up/Down/Left/Right - 2cm, Header/Footer - 1.25cm. The title will be centered, uppercase, 14p. After the title leave a blank line 12p, followed by author's names, centered, italic, 12p, uppercase. Author's affiliation is passed as a footnote. Below is the abstract of the article, max 10 rows, single column, 12p, followed by 4-6 key words. Text will be 11p size, on two columns of 8.1cm. Tiltles of the chapters will be left aligned, bold. Subtitles will be left aligned, bold, italic. After the titles and subtitles leave a blank line. The first line of every paragraph will be 0.7cm indented . The tabels may be inserted in columns or on the entire width of the page, as appropriate. The title of the table is 11p size, italic, and is positioned above the table. Text inside the table is 11p size. The figures may be inserted in columns or on the entire width of the page, as appropriate. 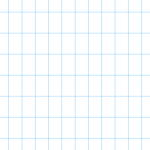 Description of the figure is 11p size, italic, and is positioned below the figure, centered. References shall be writen using 10p characters.